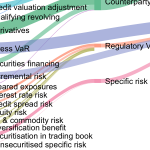 If you had perfect foresight and were going to pick the best regulator or policymaker capable of dealing with the global financial crisis and its aftermath, whom would you choose? You’d probably want someone with a track record of dealing directly with crises, perhaps in emerging markets, and finding solutions to them. You probably wouldn’t want someone too closely associated with the ideology of deregulation and virtuous markets that presaged the crisis. Tim Geithner, who ran the New York Fed from 2004 to 2008 and then the US Treasury until 2013, embodied both qualities. Joining the Treasury as a career civil servant in 1992, Geithner cut his teeth dealing with Mexico’s tequila crisis of 1994 and the Asian crisis of 1997. He picked up important lessons on runs in market confidence and a skill of winning over policymakers concerned about the moral hazard of bailouts. During this time he was singled out for promotion by two clever and influential mentors in charge of Treasury during the Clinton era: ex-Goldman banker Robert Rubin and Harvard economist Lawrence Summers. For all their brilliance, Rubin and Summers, together with Fed chairman Alan Greenspan, were cheerleaders of financial innovation and stymied attempts to regulate over-the-counter derivatives. The three of them, dubbed the ‘committee to save the world’ by Time magazine in 1999, helped steer their relatively unknown young protÃ©gÃ© into the New York Fed presidency. With responsibility for regulating the holding companies of JPMorgan, Citigroup and the New York branches of global firms like Deutsche Bank, at a stroke Geithner became one of the world’s most important bank supervisors. As he admits, he had no experience regulating banks and his team at the New York Fed has been singled out for criticism. Geithner is particularly sensitive about his supervision of Citigroup, which would require a $45 billion bailout in 2008. When he joined the New York Fed, his former boss Robert Rubin had been on Citi’s board for four years, a presence which Geithner says “tempered my scepticism” about the bank’s practices. In late 2007, as the bank was starting to implode, Citigroup even offered Geithner the CEO’s job, which he turned down. That isn’t to say Geithner did nothing useful before the crisis. Although his attempts to get banks thinking about stress tests and systemic risks were ineffectual, he did push banks to fix backlogs in credit derivatives processing and confirmations that may have mitigated the crisis when it came. However, Geithner’s most effective defence against charges of failed banking supervision at the New York Fed is that other sectors of the US financial system were even more poorly supervised, or not even regulated at all. The book contains an eye-opening diagram showing how funding of US financial activity by so-called shadow banks grew from 37 per cent in 1990 to 58 per cent in 2007. As Geithner points out, much of this shadow banking was in short-term form and highly vulnerable to panics, and was something he could do nothing about. The subprime bubble that triggered the crisis resembled an emerging market boom within US borders: with the help of Wall Street, the bottom 80 per cent of Americans whose real income had stagnated for decades were offered mortgage credit which created the illusion of wealth. Like many others, the New York Fed missed the warning signs ““ Geithner cites a risk committee study in 2007 which tried to predict the impact of 14 per cent subprime losses and predicted that only Wells Fargo and HSBC would be affected. What Geithner calls a “failure of imagination” in thinking through the implications of market linkages and financial innovations came back to bite him from July 2007 onwards. The problems of Countrywide and Bear Stearns taught him about the weakness of the triparty repo market. Like many others, he got a crash course in asset-backed commercial paper and money market funds. He learned that Citigroup had a lot more subprime exposure than it had let on. Geithner’s experience with Mexico and Asia proved useful as policymakers struggled with the worsening crisis. In Federal Open Markets Committee meetings and elsewhere, Geithner argued forcefully for unrestricted measures to restore market confidence. These measures may have started out as old-fashioned monetary easing, but by the time Bear Stearns came to the brink of failure in March 2008, the Fed was invoking emergency powers that allowed it to take on the risk of Bear’s subprime assets via a special-purpose vehicle. Through this period, and onwards to Lehman and AIG, Geithner gives a fascinating inside account of the Fed’s journey into uncharted territory. After Bear Stearns, as Wall Street’s lender of last resort, Geithner became the de facto regulator of investment banks that had flourished under the lax regime of the SEC. He recounts how in 2008, Lehman was more preoccupied with softening the New York Fed’s stress tests than finding a buyer, while Merrill Lynch CEO John Thain couldn’t even remember his chief risk officer’s name. 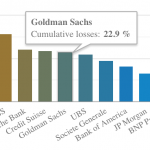 Geithner implies that these firms deserved to fail, but during 2008 he did his utmost to protect them. Even with Lehman he depicts himself as trying to save it until the very end. 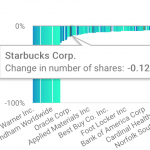 As Lehman demonstrated, their interconnectedness made them too important to fail. 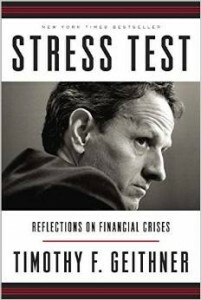 Geithner says that one of his motives for writing Stress Test was to provide a playbook for dealing with future crises. One of the lessons that Rubin taught him was to preserve ‘optionality’ in policy choices which is a reason Geithner rails against those who block off possible solutions to a crisis out of moral scruples. He divides such scruples into two categories. First is what he calls the ‘Old Testament view’ of justice ““ the urge to punish wrongdoing by bankers. The other is an economic argument that protecting risk-takers from losses incentivises them to take more risks in the future. Both of these scruples, Geithner argues, are wrong-headed in a financial crisis when the overarching priority is to restore confidence. Whenever politicians allow fires to burn the results are disastrous, and as a result, such decisions quickly get reversed. For example, the US government takeover of Fannie Mae and Freddie Mac, which backstopped $5 trillion of liabilities, effectively closed off the option of saving Lehman because it would have been politically toxic in Washington. However, the shock of Lehman’s bankruptcy made AIG’s bailout palatable. Likewise, the bankruptcy of Washington Mutual ““ in which senior bondholders suffered haircuts ““ convinced Federal Deposit Insurance Corporation chair Sheila Bair to support Wachovia further down the road. Geithner defends the Troubled Asset Relief Program and other bailouts and backstops that dominated his transition from New York Fed to Treasury secretary. 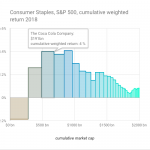 He points out that the US taxpayer made a net profit on the bailouts, and the US economy recovered faster than other nations that faced similar crises. The broader lesson is that forced creditor haircuts and asset deleveraging by financial institutions amount to a form of austerity during a recession. This shows why special measures by central banks ““ such as Europe’s ECB ““ have been such an important counterweight to the moral instincts of politicians. Painting Geithner as a Wall Street stooge for his insistence on bailouts may have been unfair, but at times the free market ideology absorbed from Summers, Rubin and Greenspan played into the arms of his critics. One of his first challenges as Treasury secretary was the payment of millions in bonuses to executives at AIG Financial Products. Geithner backed the payments out of respect for ‘sacrosanct’ legal contracts and fears of a talent ‘exodus’. Apparently it was beyond him to think that AIG only avoided bankruptcy because of US government support, and in a bankruptcy ““ or near-bankruptcy ““ no contract or employee is sacred. It was a similar story with financial reform. Geithner describes how he helped channel outrage at the bailouts into political consensus for the Dodd-Frank reforms, which required Republican votes to pass Congress. However, he initially resisted the Volcker rule having swallowed the lobbyist-friendly argument that proprietary trading made markets liquid. Only when President Obama came under attack from the liberal wing of his party did Geithner pivot round and support the Volcker Rule in order to bolster his boss’s populist credentials in time for the 2012 election. It can be argued that Geithner’s foot-dragging didn’t matter in the end ““ for the most part the right reforms were enacted, and many of them at a global level via Basel and G20 agreements. His innovation of periodic regulator-imposed bank stress tests proved a valuable tool that has been copied (albeit ineffectually) in Europe. Yet at some point the shifting mood left Geithner stranded in the past. In his post-mortem of the crisis, Geithner diagnoses its cause as exuberance coupled with leverage funded in runnable forms. He downplays the role of Wall Street wrongdoing or compensation practices and dismisses the suggestion that banks are too big. This approach has led to the spectacle of megabanks paying multi-billion dollar crisis-related settlements from shareholder funds while individuals who perpetrated the wrongdoing go free. In a phrase he uses himself, perhaps it’s a lack of imagination that prevented Geithner from seeing how much this alienates the public. It’s to Geithner’s credit that he is honest and thorough enough to give readers a chance to evaluate the positives and negatives in his legacy. This capacity for self-analysis makes his 500-page book one of the most compelling and important accounts of the crisis. Hi, I’m Robert form Poland. I have one question. This books – Stress Test – will be available in Poland? I’m writing right now master’s thesis about Financial Crisis 2008. Your post include many interesting information. I’m focusing on financial regulation and Macro-prudential policy.